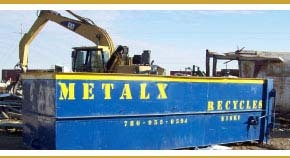 Scrap Metal Seller in Edmonton | METALX Recycling Ltd.
We are a fully integrated metal recycling facility located in Nisku, Alberta. Our customers are individuals, private sector businesses, government agencies and heavy industrial companies, specifically the oil and gas patch, throughout Western Canada. Our mission is to affiliate our company with others that produce scrap or scrap by-products and work with them to develop long-term, transparent and accountable asset recovery programs that provide access to world markets for all recyclable metal goods. We provide a variety of bin sizes and trailers free-of-charge* for our customers throughout Western Canada. Bin sizes range from ½ cubic yard to 40 yard roll-off containers, all sizes of self-dumping containers, as well as specially designed containers for customer-specific requirements. Flat deck trailers and steel-sided trailers are also in our fleet. 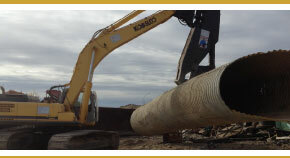 Our bin service is being utilized in the oil and gas patch, refineries, and small businesses. At METALX Recycling Ltd., we go to great lengths to ensure each scrap metal seller is paid a fair price for their scrap metals. Our materials are marketed worldwide. We base our prices on the current market value at the time of material pickup or index prices to customers for long-term contracts. 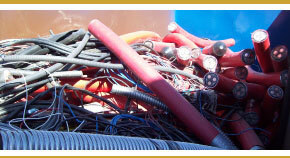 METALX Recycling Ltd. provides custom on-site metal processing. Our metal shearing division utilizes state-of-the-art mechanical shears to dismantle and process a variety of process equipment, such as exchangers and tanks. With our affiliated companies, we also provide demolition, remediation and abatement programs. Copyright © METALX Recycling Ltd.